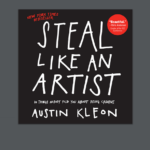 If you’re really into self-help and motivational books then you’ll find Austin Kleon’s book, Steal Like an Artist quite an interesting read. It’s short, concise, adorned with some cool illustrations and an easy-to-read sort of a book. In fact, the attention-grabbing title does play a good job in enticing the potential readers toward itself. 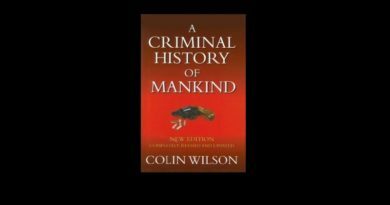 Is it a self-help book for (wannabe) thieves trying to motivate them to carry out their shenanigans with…… or does this books try to instigate any sort of crime? Well, the answer is no and the objective of this book is quite different. Before we dwell into the intricacies of the book, I think it’d be rude if we do not discuss the author first. Born in Circleville, Ohio, USA in the year 1983, the writer’s work focuses and rambles around non-fiction and “motivational” niche. Being a millennial himself, Austin realizes the cursory attention span of the internet generation and therefore, he keeps is short and hurls doodles and illustrations frequently just to make sure that the focus stays intact. I’m a writer who draws. I make art with words and books with pictures. Having worked as a librarian, a web designer, and a copywriter, Austin can now boast as a New York Time’s Best-seller for his three books till date and delivering lectures on creativity in the digital age for organizations such as Pixar, Google, SXSW, TEDx, and The Economist. 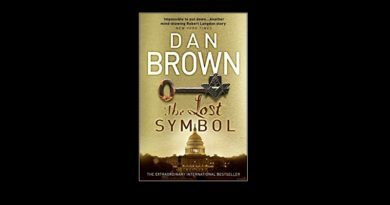 Having published back in 2012 by Workman Publishing, the main crux or the summary of Steal Like an Artist revolves around the edification that intellectual theft is not as bad as the stigma that has been attached to it. Yes, it does become a problem when you go around plagiarising and passing it as your own brain-child, or not giving the due credit to the original creator. That’s reprimandable, no question about it. doing so, you can take a nudge from the work of other people in the same field. 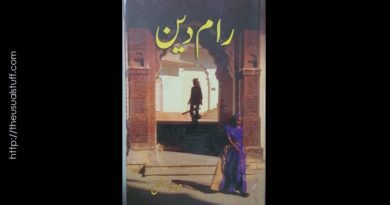 Although owing to its niche, the book can be savored by anyone irrespective of his background, but what I feel is that those with creative aspirations and pursuit, should really give this book a try. Having said that, the major criticism with not only this book but every other book in this genre is that very seldom they come up with any new point and mainly talk common sense. …Duh! That’s what the books do. Preach common sense! Right? But the point here that I want to make is that the majority of the content of these books tell you what you already know so its the mere repeating and regurgitating of the facts that pump your motivational hormones (if they even exist). However, having said that, I’d definitely not shun this book down at all. It’s a decent book with some valuable lessons to learn. For people with creative aspirations, there are quite a few takeaways in this book. However, without ruining the book for you, I’d like to quickly jot down the salient lessons that I find to be most valuable. 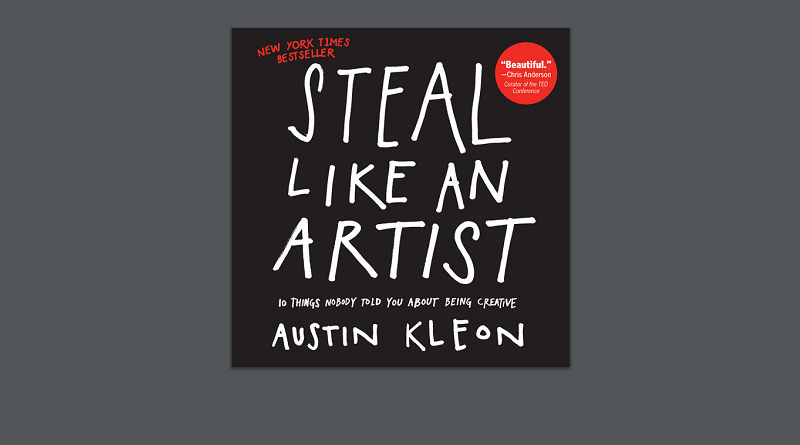 Steal like an artist: the foremost crux of the book. Of course, as I said above, it does not actually mean “stealing” and “plagiarising” but taking inspiration from others work and building from there. Don’t wait for the next million dollar idea: With the pop culture oozing every now and then with the inspirational stories of how a prodigy teenager becomes a millionaire with his side project, it’s difficult to even imagine that any ordinary person could pull it off. But the author believes otherwise. What he advices is that don’t wait for the idea. Just immerse yourself in what you love doing, internalize and build from there. And for that, don’t find it embarrassing to build up from others work. Use your hands: Get off from the bright and flickering screen of your laptops, smartphones or other electronic devices, use paper and pen instead. I find this advice this tip to be quite useful for myself as well. Interestingly enough, Austin isn’t churning out plain conventional wisdom. In fact, there have been studies recently, which seems to be favoring putting pen to paper. Boredom is good: Quite interestingly, many psychologists also believe that boredom is good to boost your creativity. So make sure you don’t get stunt with abundance. Focus on what you love and leave out all the rest. Write the book that you want to read. Your brain gets too comfortable in your everyday surroundings. You need to make it uncomfortable. You need to spend some time in another land, among people that do things differently than you. Travel makes the world look new, and when the world looks new, our brains work harder. Before signing off, since Austin has himself allowed to distribute the copy of SLAA, I believe that doing so over here won’t be an infringement of the copyright law. So taking full advantage of the liberty, I’m sharing a copy of Steal Like an Artist over here. Just mention your name and email address in the form below and download the book. All in all, Steal Like an Artist is an attempt by the writer to fly against the wind. In the world where being original and creative is pretty much the talk of the prevailing “pop-culture”, the writer has the austerity to go against the grain and in doing so there are chances that he might have stepped in the controversial realm. Therefore, owing to the above fact, I’d love to have a healthy discussion and hear out from you about what points you agree or disagree with the writer. Don’t hesitate using the comments section below to post your argument.